RD: Please tell us a little bit about yourself. SD: Hello! My name is Sharisse DeLeon and I am a brush calligrapher. I live in Sacramento, California with my husband and our toddler twin boys. When I am not chasing my little monkeys or working at my day job, you can find me creating, teaching, or blogging about brush calligraphy! I love getting to know other calligraphers and handlettering artists in the creative community. Every Sunday, I share brush calligraphy tips and videos for beginners on my blog and YouTube channel. On Instagram, I share more of my current work and fun behind-the-scenes. RD: How and when did you first discover Rhodia products? SD: My first Rhodia notepad was from Melissa Esplin through her online calligraphy class (calligraphy.org)! It was love at first sight. I loved my ice grid pad so much that I started to ration the pages and fill up each page as best I could before having to move on to the next one. The paper is so smooth and the notebook was the perfect size to carry around in my bag. RD: Which are your favorite Rhodia products? SD: Hands down, any of the dot pads. As much as I love the grid pads as well, the dot pads provide the perfect amount of guidelines to allow me to write straight, while not being too obnoxious or obtrusive when I am photographing my work. My second favorite Rhodia product is the reverse book. The square shape of this notepad is so much fun and the spiral bind allows me to conveniently flip through previous pages of work. RD: Do you use them in any way that is specific to your job? SD: For my current job, Rhodia products only help me in terms of giving me a nice break to just create brush calligraphy for fun. I can imagine in a job that is more centered around calligraphy or design, Rhodia pads would be an essential tool for brainstorming ideas, practicing, and teaching. RD: Pencil, pen, or other? Favorites? SD: Definitely the brush pen. Not to be confused with paintbrushes used for watercolor calligraphy. I’m referring to the brush markers with a flexible tip. When I use some of my favorite pens (Tombow dual brushes, Pentel fude touches, and Koi coloring pens) on Rhodia notepads, it literally feels like butter. A match made in (calligraphy) heaven. I always recommend to beginners that while it only takes a piece of paper and a brush pen to do brush calligraphy, having good quality supplies makes all the difference. 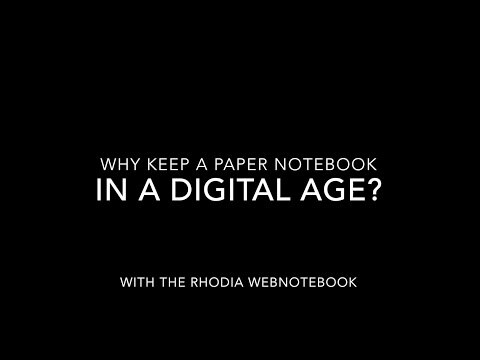 RD: Where do you regularly purchase Rhodia products? SD: I currently purchase my Rhodia products either in store at Blick or University Art, or online on Amazon. RD: Is there any way we could improve on your favorite product? Thanks for allowing me to share my experiences with Rhodia products! I really appreciate the opportunity to promote an amazing product that I believe in wholeheartedly. This is awesome! I really want to try one since I am a beginner at calligraphy! I can’t wait! Found this post through your instagram giveaway! Love reading your fan profile!! I didn’t know there was a a Rhoda site !!!! Love Sharisse DeLeon! So talented and always has the best products…Rhodia! Thank you, Laurie, Karen, and the Rhodia staff, for allowing me to share my experiences with Rhodia! It was a great pleasure to be featured in a Fan Profile. Nice! I’ll definitely be getting some of this paper. Thanks, Sharisse! but i would like to try the grid one, is my second fav from a notebook. Yay, Sharisse! I agree, loose sheets would be awesome!